Hunter S. Thompson loved it. Herb Kelleher thought along with Philip Morris cigarettes that it was essential to the maintenance of human life. Steven King fell prey to it. But whisky ain’t necessarily bourbon. Bourbon is usually stronger and sweeter than its whisky equivalents because of the fact that it is derived from corn. Bourbon is what Scotch is to the ole world. You have heard of it. Do not try to deny it. Old Hickory Distillery in Tyrone, Kentucky. Prohibition has come to an end and the Ripy family gets busy. Ripys get lucky and sell their emissions to various wholesalers who release it under their own banners. Austin Nichols was one of them. Fast forward to a wild turkey hunting trip. Austin was equipped with liquid samples. His fellow hunters take a shine to his proffering and keep asking for him to supply that “wild turkey bourbon”. Now, truth be told – I am a single malt kind of guy. Shots are for brat boys. However, a thanksgiving event last year converted me to the psalms of Wild Turkey. I do have quite a few American and Canadian comrades who swear by it. I have started to understand why and did not need the fact that Wild Turkey 101 earned an 'Editor's Choice' award from Whisky Magazine as a trigger. Hints of pepper, nuances of rye on the steering wheel and sweet caramel on the back seat. Layers shining through in waves nuts, cinnamon, nutmeg, cloves and an overall spiciness. 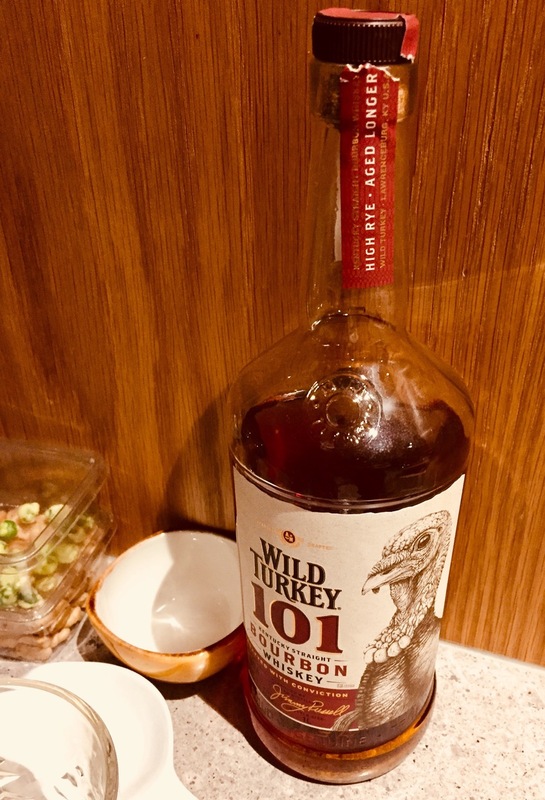 Wild Turkey 101 hits big time with a punch but it maintains its mellowness, which makes it palatable despite an ABV of 50.5%. Long story short – it goes down a treat with its near perfectly calibrated mélange of sweet- and spiciness. If you have been looking for a potent liquor with the alcohol punch not diminishing the array of subtle flavours it offers, this is your potion – a deep one at that, singlehandedly outclassing other Bourbons at higher price points as its hickory wood smoke is not overpowering as it is the case with other Ryes.